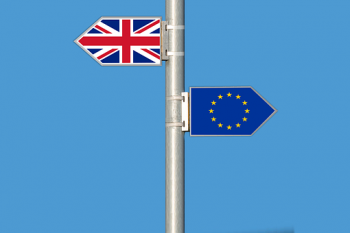 We all have questions about the EU27 and UK citizens’ post-Brexit rights. 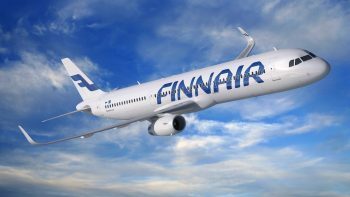 Our Corporate Member, Finnair, has announced the expansion of its Edinburgh-Helsinki route to a year-round service from 25 March 2018 in response to high demand. The route, operated by a 138-seat Airbus A319 aircraft in a dual business and economy class configuration will operate up to three times a week, increasing up to nine weekly flights during the summer. The flight allows passengers travelling from Scotland to take the shortcut to Asia with fast transfers via the Finnish capital. Finnair has also announced that Osaka will become daily during the winter season with two additional frequencies and that two additional frequencies will be added to the Hong Kong route, for a total of 12 weekly flights. Finnair’s route to Delhi will also become a daily service during the winter season, and a fourth weekly frequency will also be added to the Phuket route as of December 10. Finnair now flies to 19 cities in Asia. Travellers can also take advantage of Finnair’s extensive network in Finnish Lapland with connections to Ivalo, Kittilä, Kuusamo and Rovaniemi, the home of Santa Claus, which will be operated by an additional daily flight on weekdays during the Winter 2018/19 season. Chief Executive of Edinburgh Airport Gordon Dewar said: “We’re delighted that Finnair has extended this popular service between Edinburgh and Helsinki, offering passengers yet another destination choice the whole year round. Fares from Edinburgh to Helsinki start from £193 for a Light Economy Fare with carry-on luggage only and £228 in Economy Class return including all taxes and charges. For more information visit www.finnair.com. 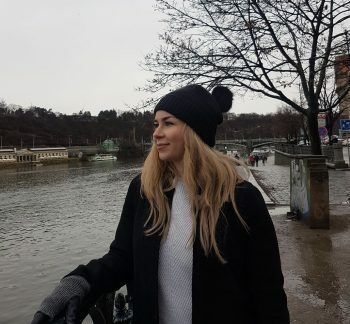 WhatCharity is a charity tech start up run by Finnish entrepreneurs Tiia Sammallahti and Samuli Laakkonen, which aims to use technology to increase the transparency and efficiency of charitable giving. WhatCharity will bring charities, companies and the general public together to help deliver resources – money, time or goods – to the causes that need them. Launching in March 2018, the free easy-to-use platform will give businesses the opportunity to create and promote their own CSR initiatives through a dedicated landing page, specifically designed for their volunteering and donation programmes. We are looking for small to large businesses among the FBCC members to join our launch initiative which will be going live on the 15th of March. The initiative will be free of charge and will include social media marketing and content production support. Attached is a presentation outlining how the platform and the initiative will work. If you would like to get involved, or have any other enquiries, please contact Stella Heng – email: stella@whatcharity.com, tel: +447809835488. Click here to see WhatCharity’s company presentation. 2018 is here and one of the two new Marketing and Events Coordinator Trainees for the spring has arrived. FBCC warmly welcomes Mari Varis as a new member of the team! Mari is a Master’s Student at the Jyväskylä University School of Business and Economics. Describing herself as an outgoing and curious-minded person, Mari can’t wait to meet all of the FBCC friends and members in the upcoming six months!